the adventures of tartanscot™: "A Dark and Stormy . 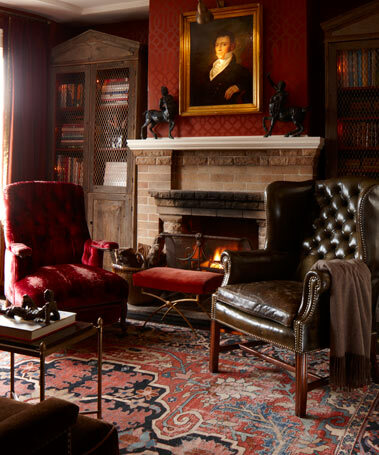 . . "
Just wanted to share this new article from San Francisco Magazine - with beautiful images of the home of Darin Geise (with an excellent interview by Diane Dorrans Saeks). You might recognize Darin's name from his amazing antique store Coup d'Etat. Enjoy some amazing images of this gracious home . 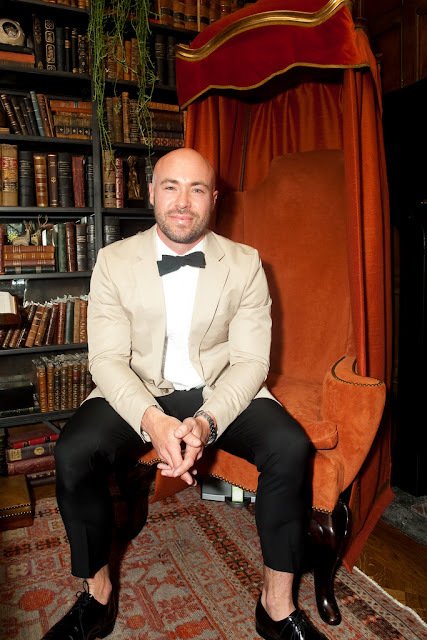 . .
And here's a shot of Darin - in his widely acclaimed room at the San Francisco Showcase House last summer. A true talent. The bedroom is divine! Love Darin Geise's style. 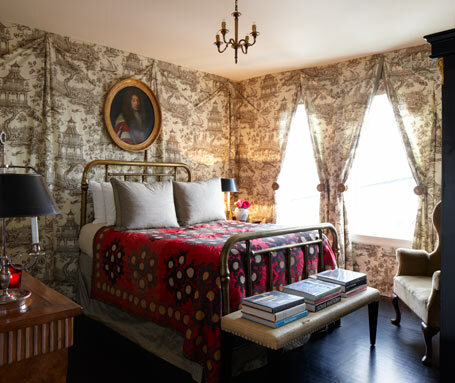 i love these rooms- especially this chair with the cornice and draperies around it- absolutely genius. So many times I just want to pull the drapes around a chair and not just a room. Love it. Beautiful rooms and such talent. I remember reading Diane's post and loving it. Come drop by my blog. It would be a honor seeing there. Darin's home is wonderful....and I love the wall behind him in the last pic. Thanks for sharing these wonderful images. * Scot~ It is so funny that "Luciane" commented on the "no socks"... that's WHY "I" was going to comment tonight!!!! ... I wanted to ask "WHY"~~~ I mean, I've seen it before, and it ALWAYS looks so "odd" to me, and he seems to have such good taste OTHERWISE! OK folks - let's try and stay 'on topic' here . . . lol . . . as a fellow member of the 'I hate to wear socks club,' I don't want this discussion to sway to the pro's and con's of sock wearing. Let's try and focus our attention on this amazing home. Wonderful it's like time traveling and who doesn't love a bit of that. 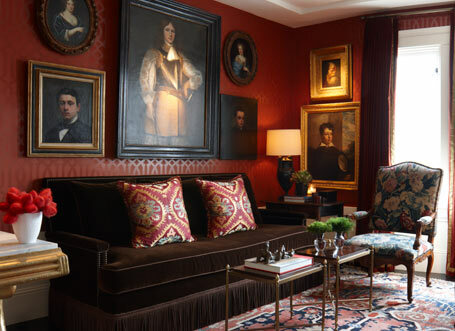 In a current world of neutrals I never tire of seeing rooms layered layered with the beauty of color and fabrics that create a history to the room, hint and a interesting life! Thank you for sharing. 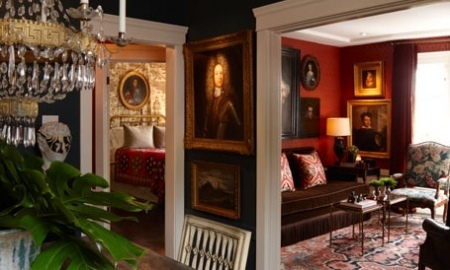 dark and stormy.......apt description of such stunning rooms and my personal favorite look. Absolutely LOVED the color combination in the living room and how the room, though full of antiques, was made contemporary by the choice of wallpaper pattern. Thanks for featuring! OK, so I saw that he was sock-less. But, I'm from Boston and right now it just looks...COLD (LOL).